Each Star Realms $10K Competitor gets an exclusive physical and digital alt-art personal starting deck! Finish in the top 8 of one of the three Star Realms $10K Championship Qualifiers at Origins. Be the weekly champion of a Star Realms Digital Arena. See a list of Star Realms Digital Arena champions here. These players will also receive a special invite that qualifies them to play in the Origins Epic 10K Championship! Spend an Epic Card Game Gold Ticket to qualify for both the Origins Star Realms and Epic $10K Championships. 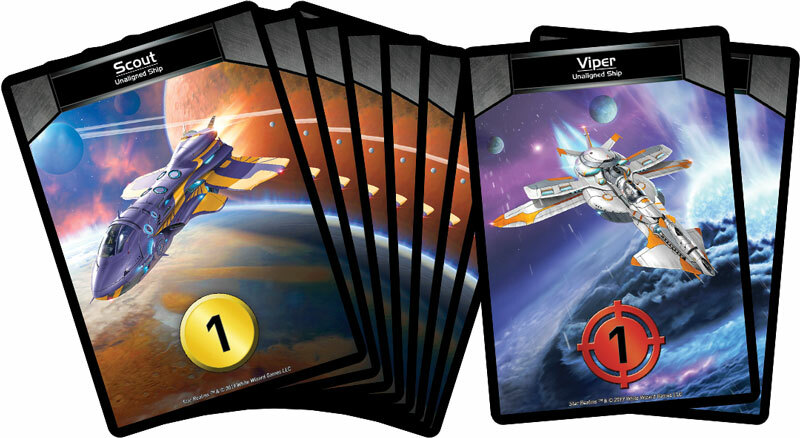 All competitors in the Origins Star Realms $10K Championship will receive an exclusive personal starting deck that includes 8 scouts and 2 vipers with exclusive art only available to $10K Championship players and other large tournaments in the future. These starting decks will also be made available to these players in the Star Realms digital app. Players must fill out all appropriate tax forms before they will be given their prize. Players must provide their in-app usernames to receive the digital alt-art starting decks.